One of Ireland’s most notorious gangland criminals is in garda custody after a number of shots were fired in the Ballymun area this evening. 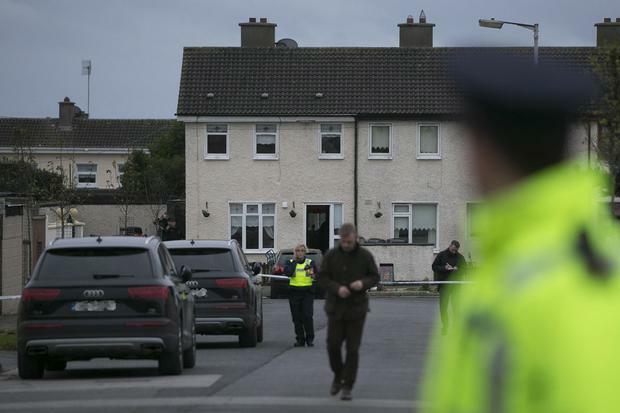 The terrifying shooting incident happened at around 4.45pm in the Poppintree area of the north Dublin suburb. The incident happened near shops and a huge armed garda response took place leading to the arrest. It began when a member of the public saw him with a firearm. The arrested man is aged in his mid 30s and previously survived an assassination attempt in which two innocent people were killed. He is being held in Ballymun Garda Station. A gun was seized at a house on Cranogue Road and the area around the property is sealed off after the discovery of a device, the Defence Forces' Explosive Ordnance Disposal team are at the scene. Garda Commissioner Drew Harris said: "The Gardai involved showed great bravery in ensuring the safety of the public."